Any doubt you may have had about TypeScript should have melted away with the recent announcement of Angular 2 being written in TypeScript. 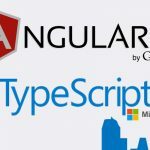 Google and Microsoft putting aside their egos (and money) to build an open source project together certainly indicates something amazing about AngularJS and TypeScript. I don’t need to tell you how awesome AngularJS is, so in this post I’d like to show you how awesome TypeScript is.